Train on Main was established in 2009 and was originally developed to promote fitness in the surrounding neighbourhood. Throughout the years, this 2000 square foot boutique style facility has evolved into more specialized instruction where cross training classes focus primarily on health, strength, weight loss, and pre-habilitation (injury prevention). Classes also extend into Kettle bell training, traditional weight training, spinning, and senior’s strength & health. Train on Main also specializes in body composition maximization (fat loss and muscle gain) as well as competitive physique preparation. 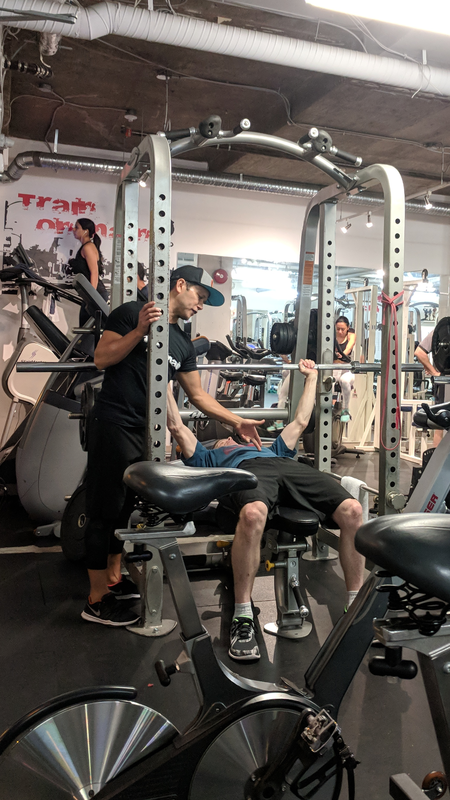 Our personal training department is well versed in nutrition and fitness programming and is dedicated to helping you attain your fitness goals. Friends, family, children and dogs are always welcome and 24 hour access makes the use of the facility priceless.